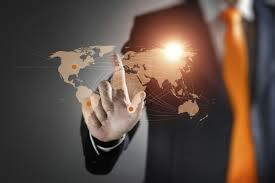 Global Expertise® is the only Global Immigration Resource Company™ in the world. Every facet of the immigration process is available to our clients; all from one centralized platform and one point of contact. Feel the power of entrusting Global Expertise® with over 3,000 U.S. firms available to work on your immigration needs. Rated the fastest growing HR Tech company in the U.S. (2015 Q3-4), Global Expertise® has managed more than 45,000 cases over nearly two decades, with only three denials. On a weekly basis, Global Expertise® supports over 2,145 immigration processes. We represent nearly one third of all Global immigration cases worldwide, including into the United States. Global Q&A Coach© | *Exclusive: Ask any Global Immigration questions and we’ll answer you! Do I need a Work Permit or Business Visa? For quick reference, what typically is the deciding factor is if clinical applications will take place versus activities such as meetings, exploratory, oversight. For Best Practices in determining if you need a Work Permit or Business Visa, it's best to contact your respective V&I Administrator. Where do I obtain all the documents required for my specific visa? Don't worry, we will do that for you! The beauty in working with The Global Immigration Resource Company™ is that we do as much of the work for you (e.g. : application completion, document procurement, official letters, FBI Reports, Legalizations, Translations, Apostilles, etc. What questions can I skip on my application? Let's not skip any of the questions. Again, when you have Global Expertise® on your side you don't have to worry about filling out applications. What happens if my Visa is denied or I overstay? We don't plan for denials, as we have had three in the last 15 years. That's a pretty great average! For argument's sake, should you have a denial or overstay on a Visa, having Global Expertise® means you always have solutions!